You are here: Home / News / TEDxDelft 2013 / TEDxDelft 2013 | Keeping the TEDx spirit alive! 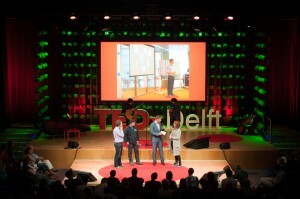 Last but not least, we would love to invite you to TEDxDelft Youth on 12 November! Here the youngsters inspire other young people with their stories and adventures, in order for them to pursue their dreams and ambitions. This free event will take place in theatre “ de Veste” in Delft. For more information and to register, you can visit this website.